If you’ve decided to tap into the numerous benefits of acupuncture—from improved health and stress reduction to pain relief—congratulations! This treatment, which has been used in Chinese medicine for centuries, will make a positive change. However, if it’s your first time, you may not know what to expect. Many people are nervous to try acupuncture due to their fears of needles. Many people are pleasantly surprised to find acupuncture needles nothing like the needles used in western medicine. 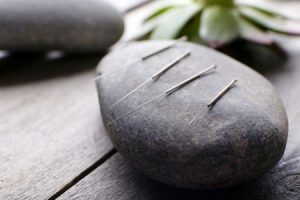 Acupuncture needles are tiny hair like pins and are not painful. In fact, you’ll hardly even feel them at all! If you come to your appointment on an empty stomach, you might experience dizziness or lightheadedness. Make sure to eat something nutritious, even if it’s a light snack, before your appointment. However, don’t pair your meal with a cup of joe. Because it’s a stimulant, coffee can activate your body’s fight-or-flight response, which is something acupuncture seeks to lessen. Acupuncture is meant to be a stress-relieving experience, but if you must rush to make it to your appointment, it could have the opposite effect! Make sure to give yourself plenty of time to get to your appointment, and don’t schedule anything too taxing (like a meeting or an intense workout) immediately afterward. Whether you’re seeking relief from pain, reduced anxiety, enhanced fertility or any of the many other benefits of acupuncture, check out WellStream Acupuncture. We’ll make sure you have a wonderful experience when you book an acupuncture appointment with us. Call us today at 323-463-9355 to find out more or read our new patient info page online!